There’s nothing like hopping on the Harley and feeling the wind in your hair, taking in the scenery, and getting that rush of freedom that can only come from riding a motorcycle. However, bikers have to play it safe in order to keep from having that freedom taken away from them by a fatal accident. The National Highway Traffic Safety Administration (NHTSA) reports that motorcycle riders are more than five times more likely to be killed in a traffic accident than people who ride in cars. 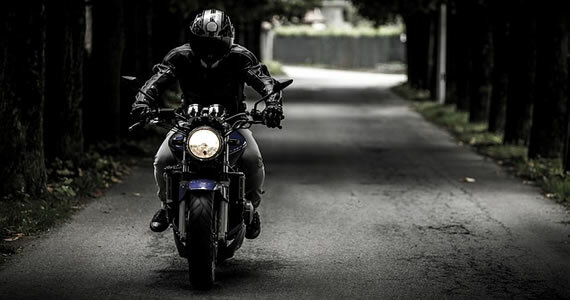 Since motorcyclists do not have the protection of a vehicle and are likely to be thrown from their bikes, many bikers will sustain serious life-altering injuries like broken spines or traumatic brain injury. In order to prevent traumatic injuries like these here are some tips to follow to help you stay safe on the road. It’s not enough just to wear any helmet. You have to make sure your helmet fits securely so that it isn’t too tight or too loose. You also want to get one that is sturdy and hasn’t had a lot of damage. If your helmet gets dropped or damaged you should get a new one right away. It is essential to not wear that same helmet again because helmets are only made to absorb the impact of a crash once. Although it can be tempting to ride in shorts and a t-shirt during the summer, you are more likely to be burned or scraped up without protective clothing. You will want to wear a leather jacket and pants if possible. You will also want to wear full-finger gloves and protective eye-wear. Make sure your eye-wear has good visibility and isn’t scratched. Also make sure that your slip-resistant boots cover your ankles. Always check weather conditions before you head out, especially if you’ll be driving in the desert or in congested parts of the city. Dust storms can cause very poor visibility for you and other drivers on the road, which will increase your chances of an accident. If the weather is hot, bring extra water to keep hydrated. Prepare an alternative route home in case of bad weather. While you might not be at fault if someone hits you, your priority is to remain alive. Use a headlight at night to make it easy for other drivers will be able to see you easily. Also, be sure to always be mindful of the blind spots of drivers on the road. It is also a good idea to honk your horn in traffic if you are in an area of poor visibility. Whenever possible, plan your route to avoid the casino areas especially at night. Your chances of getting hurt or killed on the road are much higher when you’re surrounded by vehicles in which people are likely to have just come from the bar. By avoiding those areas completely you can really help prevent a lot of potential danger. Don’t drive if you’ve been drinking. Even if you aren’t over the legal limit, motorcyclists have to be more alert than other drivers on the road. It is also a good idea to take a break from driving if you’re too tired or are sick, because your reflexes will not be at their best. There is nothing worse than getting into a motorcycle accident. Luckily there is help out there for you and your loved ones if it happens. If you or a loved one has been injured in an accident it is a good idea to get professional help from someone such as a motorcycle accident attorney in Las Vegas, to help you handle your personal injury claim. Be sure to seek help right away so that you can be sure to get all the care you stand in need of. Motorcycle accidents often result in severe injuries and damage. 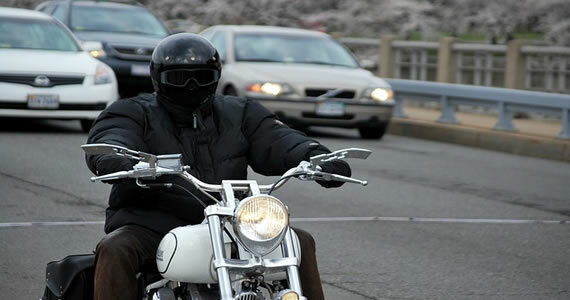 The state of Nevada requires that motorcyclists do their part to protect themselves. However, motorcyclists who were the victims of another driver’s negligence have a defined set of rights under the law. Most states require that motorcycle operators have a class motorcycle license. Both the driver and their passenger must wear helmets. They must also wear protective face shields, unless the motorcycle has a windshield or screen. While they are allowed to use a complete traffic lane, motorcyclists do not have the right to drive with or pass another vehicle in the same lane. They cannot drive between lanes, even if the other vehicles are stopped. 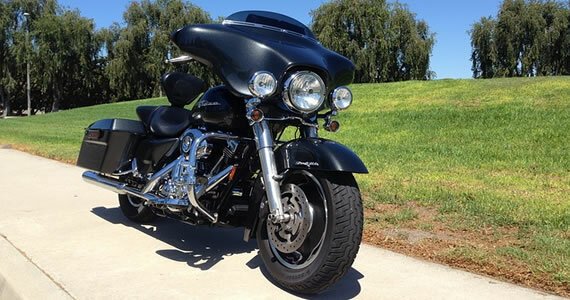 Motorcycles driving on most US roads are required to have one headlight, but not more than two. Tail lights and brake lights must be visible from a distance stipulated by the state. They should be equipped with a reflector and rear and front brakes. In most places, modern bikes need front and rear electric turn signals. Rear view mirrors should be mounted on both sides, and front and back wheels should have fenders. They are also required to have a horn and a muffler. The health and well-being of all parties involved in an accident is of paramount importance. Necessary medical care should be sought immediately. According to Las Vegas motorcycle accident attorney Farhan Naqvi, once any medical emergencies have been addressed, it is a good idea to speak to an attorney as soon as possible. They will work with the victim and help them collect information about the accident that could have a bearing on if they receive damages. It is essential that the victim and their family take these steps immediately after the accident. The insurance company representing the other parties involved will not waste any time in gathering information and building their case. Not in all cases, but it is advisable in the vast majority of cases. When a person is a victim of a motorcycle accident, their primary focus is on recovering from their injuries. They lack the time, experience, and know-how to protect their interests. Attorneys understand the techniques that insurance companies will use to attempt to deny a claim, and they can work to cut these techniques off at the pass. Recovering from a traumatic motorcycle accident can be difficult. It is not the time to try to recoup damages or lost wages on your own. Using the assistance of an experienced personal injury attorney will make the process a lot smoother. Anyone who rides a motorcycle will tell you, this is one of the most freeing ways of getting around. Whether you’re just getting one for recreation, or everyday use, motorcycles provide a sense of adventure you just can’t get trapped in a car. However, riding can be a bit intimidating for first timers. Thankfully, there are some tips which will make this whole experience much easier for your first time on the back of the bike. 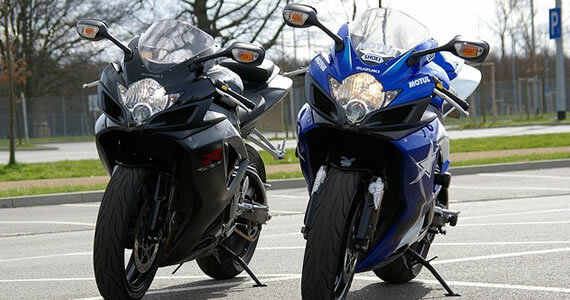 In order to really get a grasp for riding, it is best to sign up for some type of motorcycle riding course. There are all different kinds offered all over the nation to help you become a pro behind the handlebars. A course will teach you all the basics of riding a motorcycle, as well as any advanced techniques you may need to know. While some classes may cost upwards of $350, there are some that are free. According to Bronson Jones & Co car accident lawyers in Vancouver, if you take one of these courses, you may even be eligible for some kind of insurance discount so it is definitely worth a look into. After all, the last thing you want is to be dealing with a car accident lawyer for something that could have been prevented. It is crucial you wear a helmet at all times when out riding. If you don’t, you are putting yourself at high risk for a potentially fatal accident. In fact, in many states it is illegal to operate one without a helmet, which means if you don’t wear one, you could be facing many tickets and penalties. It’s always better to be safe than sorry so make sure you’re fully protected. When you’re riding your motorcycle, you want to be wearing the right attire. Wear heavier clothing, and sturdy shoes whenever you go out as well. That of course includes a leather jacket, gloves, full pants, and footwear that goes over the ankles. These items are crucial because you want to wear clothes that will protect you from all that will be thrown your way like the wind, bugs and debris. There are even some clothes that are specifically designed for motorcycle riders. Learning to ride a motorcycle can be tough, but it doesn’t have to be when you’re told the right steps. With these tips in mind, you’ll be fully prepared to take on whatever comes your way when out on the road. Motorcycles, by their very nature, are risky. If you ride, the hazards range from motorists not seeing you to changing weather. Fortunately there are steps you can take to minimize your risk. If you are a motorist, understanding the risks a motorcyclist takes will help avoid hazards, both to you and to the motorcyclist. In order to decrease the risks, all who travel the roads must use common sense precautions and alertness when driving. Despite the extreme physical dangers of riding a motorcycle, certain US states still don’t require that bikers wear helmets. Even if you don’t have to legally wear a helmet, a quick glance at the stats should be enough to convince you to. According to NHTSA.gov, the leading cause of death for motorcyclists is head trauma, a death risk reduced by an astounding 40% when the rider used a helmet. Motorists should never tailgate a motorcycle, because this is risky for both you and the cyclist. If the cyclist experiences a mechanical malfunction, odds are good they will be suddenly thrown from the motorcycle. If you tailgate, the possibility of running over the thrown cyclists is high. During the police investigation, the authorities may state you were negligent by following too close. Allow enough room for an escape route when driving behind a motorcycle. If you are a motorcyclist, a pre-trip inspection minimizes your risk by discovering potential hazards. For example, imagine that during the inspection you find a frayed brake cable. If your brake fails, you lose a lot of stopping power when you need it. The solution, then, is to replace the cable before riding. Some areas of the pre-trip inspection should include checking the fluid levels, checking the cabling, and checking the tires. Another often overlooked routine is making sure all bolts are tightened to specifications. Bolts loosen up over time, and can lead to disaster if, say, the front wheel bolts loosen up. The weather may be nice, but a storm front may be moving in without you knowing about it. Any cyclist will tell you riding in a storm is miserable. Plan ahead, and plan for storms that are moving in. Tailor your riding time so bad weather is avoided. If you have to ride in the rain, pack weatherproof clothing accordingly. And if you have been injured in a motorcycle accident in Denver or elsewhere in the US due to a driver’s negligence, consider contacting an injury attorney. As a cyclist, you should always look far ahead in the road, since road hazards can be encountered quickly before you have time to react to them. According to the National Highway Traffic Safety Administration (NHTSA), hazards such as oil slicks and debris all lead to accidents. For example, you are riding behind a truck. Some debris falls off the truck, causing you to lose control. To prevent this, allow enough room between you and the vehicle in front of you. Look far enough ahead, and plan for bad road conditions accordingly. When you ride, it’s imperative to arrive at your destination, instead of an emergency room. Some elements you can’t control, but others you can. Take all the precautions necessary to ride safely, since it all boils down to being alert when riding and maintaining your motorcycle properly. When you are on the road riding a motorcycle, you are at a disadvantage against other motorized vehicles such as cars and trucks. Safety should be your number one priority when driving your motorcycle to avoid accidents that could potentially be fatal. With these few motorcycle safety tips, you can be a step ahead when it comes to safety. When riding a motorcycle, it is essential to have all the proper gear. A motorcycle offers no protection during a crash, so flip flops and shorts are not proper attire to be riding a motorcycle. Leather clothing can help protect motorcycle drivers in the case that their bike were to lay down and slide. Leather is a strong material that can help protect riders from road rash, bugs, cigarette butts and even small rocks. The proper shoes for riding a motorcycle are sturdy shoes. To change gears on a motorcycle, the driver must pull up on the lever, which requires closed toe shoes. Soles on shoes should not be smooth because it makes it very easy to slip off the pegs on the motorcycle or to slip when coming to a stop and stabilizing the bike. The shoes should also be weather-proof in case you get stuck in a rainstorm. Any type of distracted driving is bad, but on a motorcycle it can be fatal. It is important to stay very aware of all of your surroundings when riding a motorcycle. Since motorcycles are difficult for some drivers of bigger vehicles to see, you must proactively be aware of these vehicles and stay out of their way to stay safe. While driving a motorcycle, your hands must also always stay on the handlebars to ensure proper balance and maneuvering. 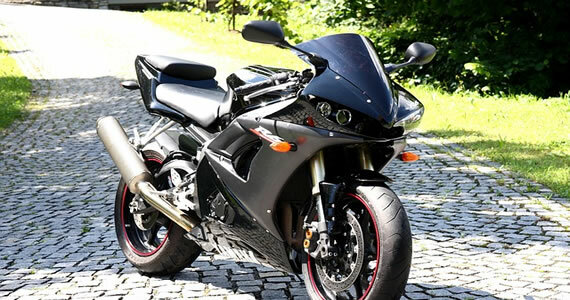 Motorcycles are a bit more unstable than a car in generally dry conditions, and wet weather can greatly increase the instability of the motorcycle. You should stay weather aware and avoid riding in heavy rain, ice or snow. Getting more advanced motorcycle training can help protect yourself and others from accidents on the roadway. A driving school can help everyone from beginners to advanced riders improve their techniques and skills while on their motorcycle, say the experts at Valley Driving School. Driving schools are able to train and assess a driver’s skills to ensure proper knowledge before getting on the road. Helmets protect motorcycle driver’s heads in any type of accident. Head injuries are the leading cause of death when it comes to motorcycle accidents, so it is that much more important to wear the proper motorcycle helmet anytime you are riding your motorcycle. The helmet should not fit too tightly or too loosely, and it should never obstruct your vision. Motorcycle safety is easy when tips such as these are taken into consideration each and every time you ride your motorcycle. Any time you are on your motorcycle, you should strive to always put safety first.